Both teams are in group F with Iceland and Austria. 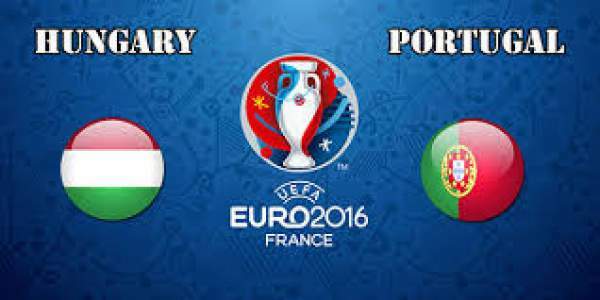 Hungary leads the group with four points from two games, one win, and one draw,.Iceland are second with two points from two draws while Portugal are third with two points as well with two draws. Austria are last on the table with one point from one draw and one loss. 22nd June 2016 at 21:30 (IST). Kiraly, Lang, Juhasz, Guzmics, Kadar, Kleinheisler, Gera, Nagy, Dzsudzsak, Priskin, Steiber. Patricio, Vierinha, Pepe, Carvalho, Guerreiro, Qaresma, Carvalho, Moutinho, Gomes, Nani, Ronaldo.